As Ingersoll Rand’s vice president of global diversity and inclusion, Nereida “Neddy” Perez likes to refer to herself as a “cultural bridge builder,” and it’s a role she was born to play. Perez and her family fled Cuba for the United States in 1967, when she was just three years old. They settled in Miami for a short time before making their way to Chicago. Thanks to the city’s public school system, Perez was the first in her family to learn the English language, making her—at the tender age of seven—the family’s official interpreter. If her mother had to go to the doctor, Perez was right alongside her, translating the doctor’s message. If a check had to be written, Perez was there to make sure the dollar amount was spelled correctly. There was also the time she had to stand up to a police officer, quivering in her boots, because he didn’t believe the story she was telling. Chicago may be the city that solidified her “bicultural” identity, but it was also the place she experienced her first brush with racism. Perez’s grandparents believed that a high school education was more than sufficient, so as a bookworm and overachiever (she finished both junior high and high school in just four years) she was a bit of an oddity in her family and at school, where her advisors didn’t know what to do with her once she’d acquired the credits needed to graduate. They decided to put Perez in a media-productions program, where she hosted a school talk show and became sports editor for the yearbook. A college professor convinced her to pursue public relations, so upon entering the University of Florida, Perez chose PR as her major. 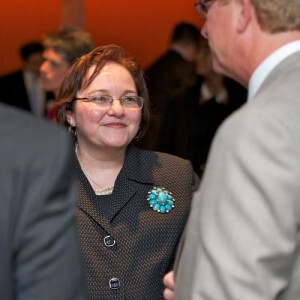 After successful stints in various diversity-related roles at the United Parcel Service (UPS), Shell Oil Company, Sodexho, KPMG, and National Grid, Perez eventually made her way to Ingersoll Rand, a global, diversified industrial company that advances the quality of life by creating and sustaining safe, comfortable, and efficient environments. During Perez’s first year at the company in 2011, a majority of her efforts went towards putting structures in place that would help her make the most of employee resource groups and diversity and inclusion initiatives, something that’s exponentially easier when you have the support of your company’s executive leadership team. Having the support of senior leadership is something that’s incredibly important to Perez because without it, there’s the fear that a company is simply interested in creating a great diversity PR campaign—essentially talking the talk without walking the walk. Earlier in her career Perez was hired by a company for diversity and inclusion efforts, but after working with their senior leadership she knew they weren’t committed to creating real change. Each day it is Perez’s goal to value the differences everyone brings to the table—from skill sets, languages, and professional experience to cultural and generational differences—by leveraging them to create new products that better meet the needs of global clients. A lot of this work, she says, is based on helping people find the middle ground. As Perez says, no one wakes up with the intention of being cruel or insensitive. More often than not, it’s a lack of understanding—paired with her own ability to create awareness around diversity—that gets Perez out of bed each day. There is also the added responsibility she now feels as a successful Latina with more than 20 years of experience in her field.